Does it seem like all your friends and moms on the playground are talking about the amazing way essential oils transform their lives? Right now the buzz around essential oils is strong and the tidal wave is about to ramp up as we head into summer. Our minds collectively turn outdoors and head out into nature. Do you wonder just what these oils can do and if you should be using them too? Hang on, we have the basics right here just waiting for you. For some, the idea of creating their own skin and hair care products sounds like a daunting task. For others it is just what the doctored ordered. They love the full control over what goes into and onto their body – with aromatherapy benefits! You can create everything from insect repellent to facial toner using just a few ingredients and tweaks. While the cost of buying essential oils might seem exorbitant initially, the payout is natural solutions that save you money over time. Here are some of my favorites. Summer is right around the corner so take heed and mix up a batch of this tonic for sunburn relief. The combination of aloe and Helichrysum relieve pain and soothe skin while jojoba keeps it from drying out. The lavender calms your senses. 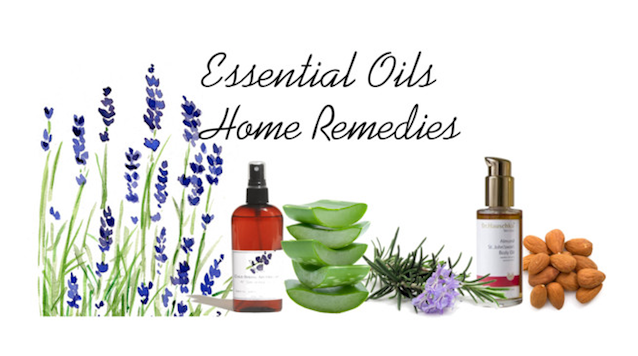 Ingredients: 2 ounces of Jojoba oil, 2 ounces of natural Aloe Vera gel, 25 drops of Helichrysum and 60 drops of lavender. Mix together and store in a cool place. You can apply it as needed. Get skin soft and hydrated before the summer heat sets in with this formula for dry facial skin. You can add it to your regular moisturizer, but make sure they are blended well. Ingredients: 1 tbsp. Sweet Almond oil, 1 drop Roman Chamomile, 1 drop Neroli. Mix together and apply to face. We all know that as we get older or stay out late we don’t look as fresh. Use this next potion to de-puff those eyes and get rid of dark circles. Ingredients: 1 tbsp. Witch Hazel, 2 drops German Chamomile, 2 tsps. Hazelnut oil, 2 drops Fennel Oil. Mix together into the witch hazel. Soak a cotton ball or gauze pad wrapped around an ice cube into solution and apply to closed eyes for up to one minute. Looking for a natural way to perk up your lack-luster locks? Essential oils might be just the thing. For a good hair detangler that lasts and can be made whenever you need to replenish try this one. This solution can be used on both wet and dry hair. Gently comb through hair and no residue are left behind. Ingredients: 150 mls of water, 20 drops Lavender, 20 drops Rosemary, 20 drops (cold pressed) Carrot Seed, 5 ml Emulsifier. Place the water in a spray bottle and add emulsifier. Shake it up and then add the oils. Shake again.